Preservation advocates struggled to find a viable reuse for Indianapolis’s landmark Roberts School for more than a decade before its successful transformation into market-rate apartments, opening this August. As the new academic year begins, one Indianapolis school building welcomes residents rather than students. This month, Core Redevelopment opened the former James E. Roberts School in Indianapolis—a former 10 Most Endangered site—as apartments. Known historically as School 97, the 1936 building’s Art Moderne styling makes it a rarity in the city. The building stood empty for more than a decade before Core Redevelopment revived it as 31-market rate apartments. 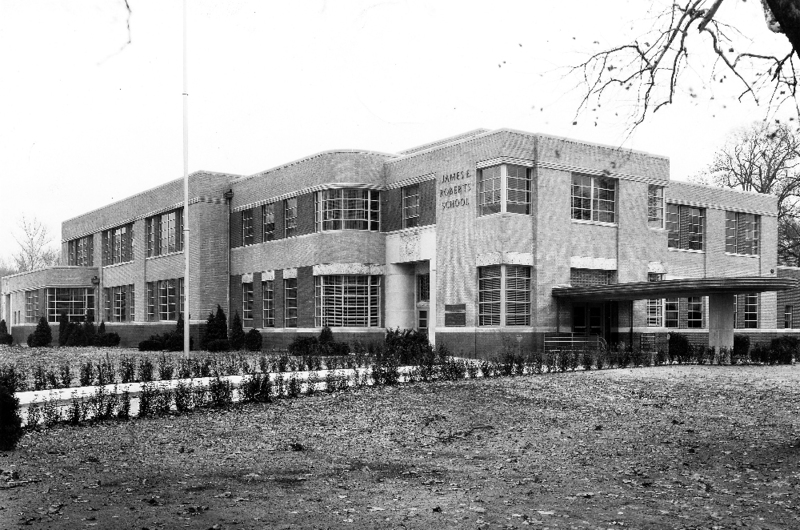 An initiative of the Works Progress Administration (WPA), School 97 was designed by the notable Indianapolis architects McGuire & Shook as Indianapolis’s first school for students with physical disabilities. Boasting accessible features that would not become standard for many decades, the two-story building includes a system of ramps and an elevator, now updated and restored. School 97 served its original purpose for five decades, closing in 1986 when Indianapolis Public Schools (IPS) began including students with disabilities in mainstream classrooms. 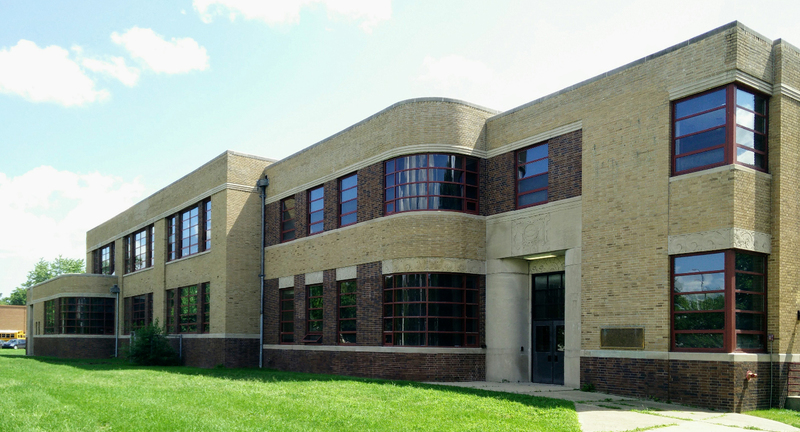 The building reopened as the IPS Key School, and then served as Horizon Middle School before closing in 2006. 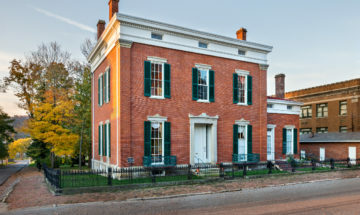 After IPS slated the building for demolition, Indiana Landmarks won a stay of execution and encouraged the school corporation to seek a solution that would preserve the landmark. We commissioned a study to evaluate the school’s prospects for reuse, and funded legal work to resolve an arcane 1917 law requiring the property to serve educational purposes. 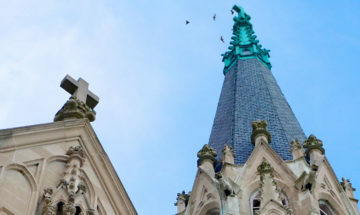 Core Redevelopment has a 100-year lease on the building, an arrangement that honors the requirements of the law by providing revenue to IPS for education. Called Roberts School Flats, the building holds five studio apartments, 23 one bedrooms, and three two-bedroom, two-bath units. One apartment features a private sundeck original to the school, and another unique unit includes the stage and backstage area of the school’s auditorium and gymnasium. Several apartments incorporate original chalkboards, skylights, glass block walls, and built-in benches. The landmark at 1401 East Tenth Street sits on the northern edge of the Arsenal Tech high school campus adjacent to the historic Cottage Home and Windsor Park neighborhoods, with easy access to the thriving Massachusetts Avenue corridor and downtown destinations. Most of the inaugural tenants—24 units are already leased—are young professionals, but one unit will be occupied by a retired teacher who once worked at the school. The $3 million renewal of School 97 confirms that the near eastside is on a roll. Nearby, a former manufacturing facility now houses a brewery, artists, small businesses and a variety of other tenants. “Combined with the investment being made by Circle City Industrial and individual homeowners on the near east side, Roberts School Flats adds a major boost to the revitalization momentum on the Near Eastside,” says Michael Cox of Core Redevelopment. 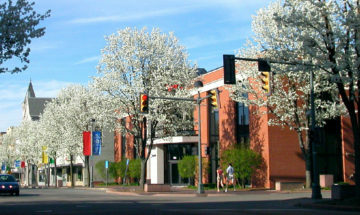 To learn more about the project, visit www.coreredevelopment.com.